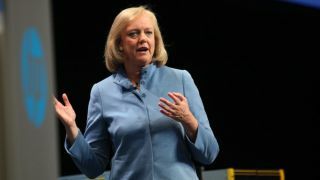 HP has confirmed that Meg Whitman, its current CEO, will become its chairman as well as Ralph Whitworth departs from role. In addition, Klaus Kleinfeld, chief executive and chairman of Aluminium giant Alcoa, has been elected as ithe 12th board member at HP while Pat Russo, the current director and former CEO at Alcatel-Lucent, has been appointed as lead independent director. Whitman replaced Leo Apotheker in 2011 and hails from Ebay. She took over from the former SAP executive whose tenure lasted less than a year and saw the company go through one of its roughest periods. During his 11-month reign, HP shares dropped by 40% (with a one-day drop of 25% on 19 August 2011). Apokether oversaw the controversial acquisition of Autonomy, the untimely death of WebOS as well as divulging plans to spin off its PC division. Since Whitman replaced him, shares of the company went up by more than 50% with the company currently reaching a market capitalisation value of $64.43 billion (about £38 billion, AU$69 billion), although nearly 50,000 jobs were lost in the process. Is HP still releasing decent PCs?